There's no way of parking closer to the terminal than booking the airport's own Short Stay 1 car park - it's just over the road from departures and very simple to use. Park, keep your keys and catch your flight, secure in the knowledge that your car will be protected by regular patrols and CCTV while you're away on your well-earned break. When you get back, just walk to your car and drive off. Airport parking as simple as a trip to the shops. 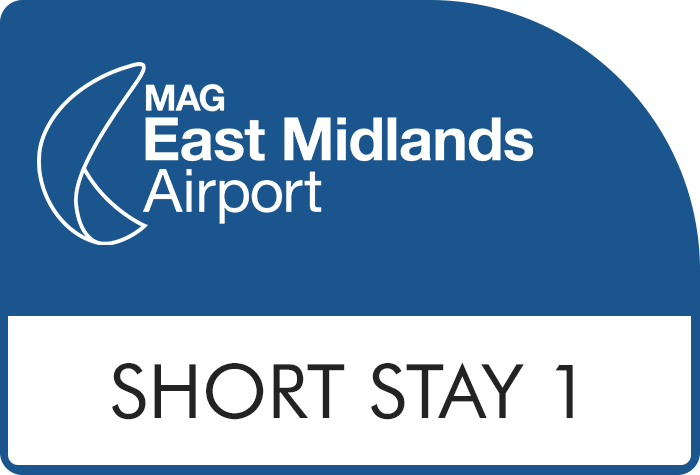 The closest car park to East Midlands airport, Short Stay 1 is all about simplicity and convenience. Short Stay 1 is about as straightforward as parking can get. Glide in through the barriers, then all you need to do is park - it's as easy as that. You can jet off knowing that your car is in good hands with regular patrols, barriers and CCTV monitoring. To keep things even easier, you even get to hold onto your car keys while you're away - that means your car will stay exactly where you parked it. It doesn't get much better than that. Transfer bus? No need. At Short Stay 1, you're already on the airport's doorstep and just seconds away from check-in. There are some spaces reserved for Blue Badge holders, but they are subject to availability on the day of arrival. You won't need to worry about transfers when you park at Short Stay 1 - you're only a 1 to 2-minute walk away from your terminal. Always use Holiday Extras for car parking as it always works very well. Just need to be able add the upgraded parking that is available at East Midlands. Easy and quick flat walk to airport departures and same for arrivals on our return. Used Sat Nav which took us straight there. Would definitely use this again. Our customers rated East Midlands Short Stay 1 Car Parking on average 9/10 (575 reviews). Read East Midlands Short Stay 1 Car Parking reviews.